The staffing industry is subject to ever-increasing regulatory mandates requiring frequent re-examination of internal standards, practices and employment agreements. Recent massachusetts legislation on pay equity and non-competes are among the changes necessitating adjustment of exisiting practices. 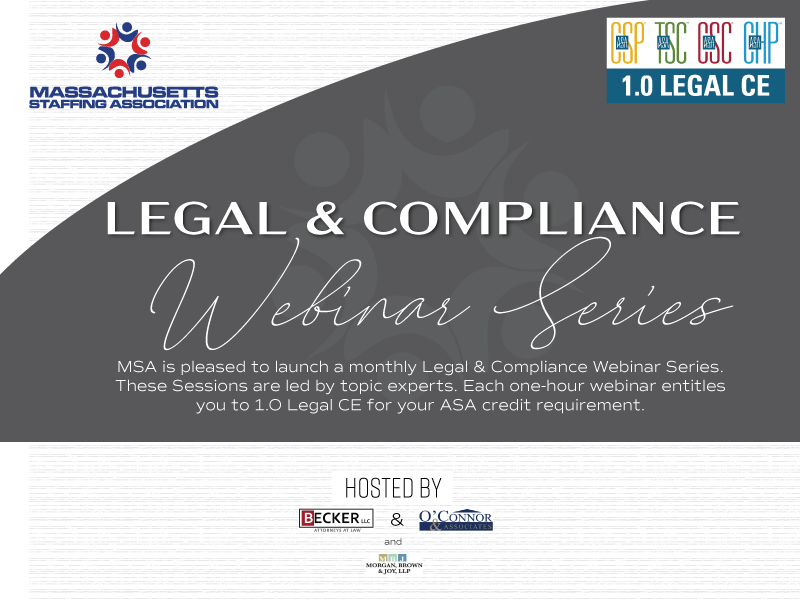 This session will provide practical guidance on: (1) assessing the company’s current compliance; (2) identifying those issues that warrant updating; (3) developing internal standards and documentation to minimize liability; (4) negotiation and drafting employee agreements (for back-office and temporary staff) ; and (5) effective communication when rolling out updates.